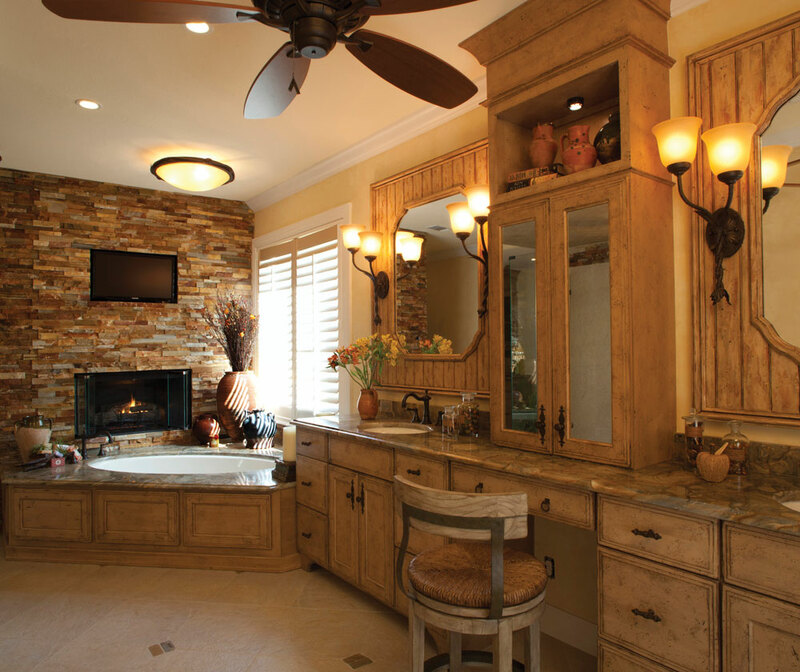 A little French with a dose of rustic was the inspiration for this master bath. We were tasked with examining EVERY aspect of the space and deciding on the best functional layout. 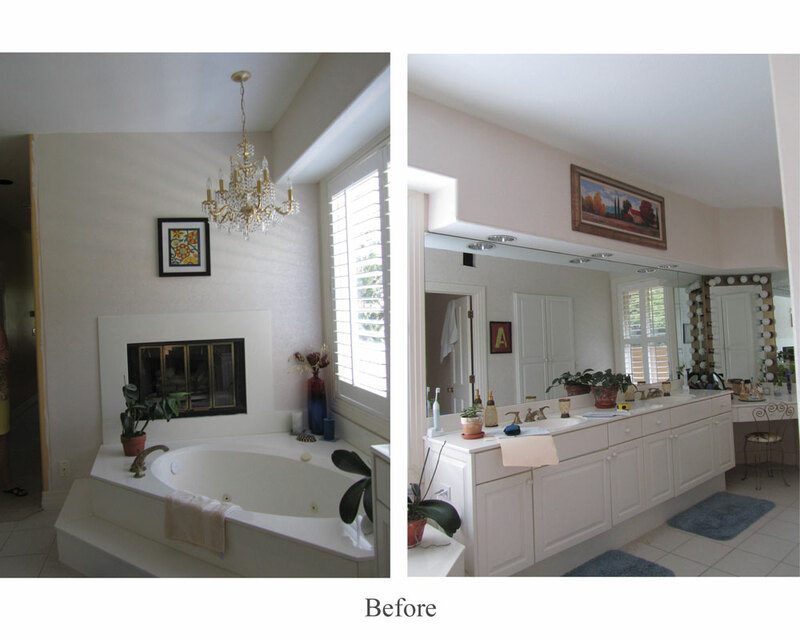 We drafted a new floor plan, moved a wall, removed soffits, and created a wonderful large shower. The focal point became the stacked slate wall above the whirlpool tub, housing both a gas fireplace and flat screen TV. This sets the mood of a space intended for relaxation, enjoyment, and a little pampering as well. There is more functional storage, the lighting is greatly improved, the air-movement and ventilation are significantly better — all the while environmentally responsible BEAUTIFUL products were used.